There is currently just the 1 ferry route running between Hong Kong and Dongguan Province operated by 1 ferry company – Sea's Young. The Hong Kong Airport (Skypier) to Humen ferry crossing operates daily with a scheduled sailing duration from about 1 hour 20 minutes. Whilst we’ve taken great care to ensure the information on this page is correct, as the frequency and duration of crossings on all routes can vary from time to time we’d advise that you get a live quote for current availability on this Hong Kong Dongguan Province crossing between Hong Kong Airport (Skypier) and Humen. Hong Kong is an autonomous territory on China’s southern coast, known for being one of the most densely populated cities in the world. It’s also famous for its modern cityscape, excellent shopping spots and large natural harbour, as well as its diverse natural landscape comprising vast mountainous areas and many country parks, allowing you to find some tranquillity away from the energetic metropolis. Diversity can be found in the cuisine, too, as you can indulge in superb Cantonese, Shanghainese, Vietnamese, Japanese and European dishes from either upmarket restaurants or authentic street vendors, which is why it’s regarded as the culinary capital of Asia. 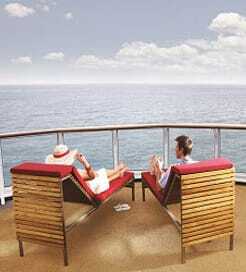 Hong Kong boasts an extremely well-developed ferry infrastructure, with multiple ferry companies offering high-speed crossings with modern, luxurious vessels. 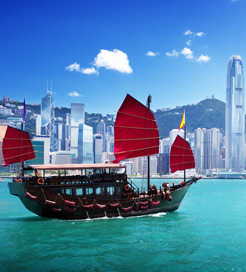 From numerous ports in Hong Kong, you can sail to a number of locations in China and Macau.